Various countries have been making various types of weapons from time to time in the name of security. Many such weapons have been made, which can completely destroy a large area at one go. Like various types of bombs and weapons, hydrogen bombs have come up. A hydrogen bomb is a thermal nuclei bomb, which is caused by the nuclear fusion process. Here specific things related to this bomb will be described so that it can be ascertained which is more deadly in the hydrogen bomb and atom bomb. Hydrogen bombs are also called H-bombs. Hydrogen isotope is used in its construction. The isotope of an element is the format of that element, whose atomic number is equal, but atomic weight is different. There is a total of 2 isotopes of hydrogen. The name of both isotopes of hydrogen is Deuterium and Tritium. As mentioned earlier, the process of nuclear fusion is done in this bomb. To complete this process, too much temperature is required. Because of this process in this high temperature, it is also called a thermonuclear bomb. The hydrogen bomb process begins at very high temperatures. Due to its explosion, there may be a lot of damage. Its texture is in the following form. An atomic bomb is planted in the middle of the hydrogen bomb. There is a large level of lithium deuteride all around this atom. Lithium deuteride is actually made up of a mixture of lithium and deuterium. This layer is an element of very high fuel. Its neutron transforms lithium into tritium at the time of this fusion, and after that, a lot of energy is generated. After this, heat is generated in very high quantities. This temperature measures between 50,000,000 ° C and 400,000,000 ° C.
The more the number of neutrons are generated, the more nuclear fusion is there and the intensity of the explosion of the bomb increases. This process is like a chain reaction. This hydrogen bomb is converted into a neutron bomb in this way. Like other nuclear bombs, there is too much temperature in the middle of this bomb. Due to the high temperatures, all the elements living in its center are fully vaporized. Suddenly, in this area, it is more explosive than a sudden wave of the atmospheric explosion. The most damaged living things happen because of the explosion of this bomb. According to the theory of the bomb, where the bomb will break, there will be very little damage to the physical objects but completely destroyed all living things on it. Since the United States of America in the year 1958, until the year 1980, it has made almost hundreds of nuclear bombs. Although both bombs are very intense and can cause significant damage, many ways in between these two bombs are different. These variations are being described below. Nuclear bomb blasts in the process of nuclear fission, on the other hand, hydrogen bombs explode with the process of nuclear fusion. The hydrogen bomb explodes 100 times faster than an atomic bomb, so the losses caused by it are very high. 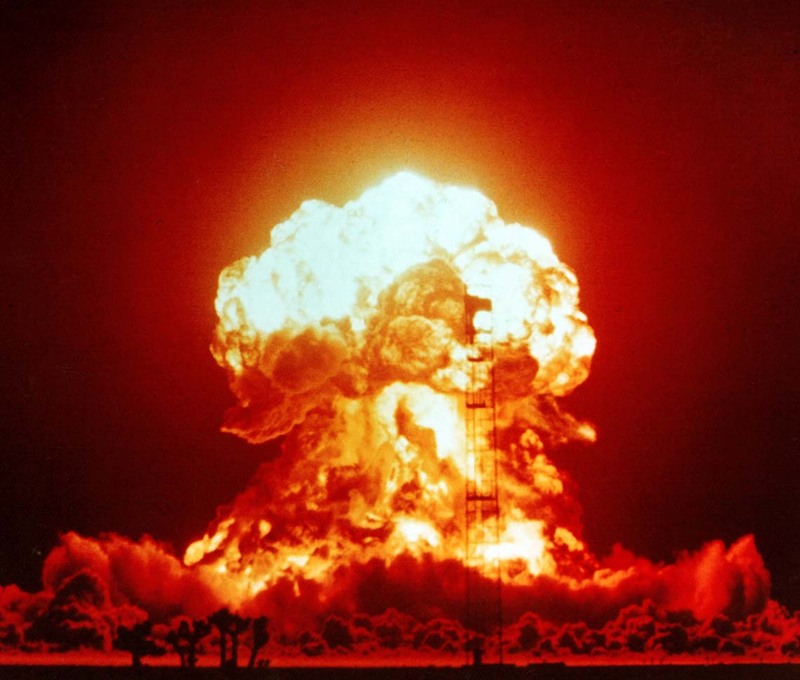 Uranium is used in nuclear bombs; hydrogen isotopes are used for hydrogen bombs on the other side. Nuclear fusion produces a lot of energy in place of nuclear fission, due to which the hydrogen a bomb is much more effective than other nuclear bombs. Nuclear fission and secondary device in the primary shell inside the hydrogen bomb is the process of nuclear fusion, but other nuclear bombs have only nuclear fission. Recently, North Korea tested the hydrogen bomb due to a dispute between the United States and North Korea. This trial was conducted by North Korea during the onset of the BRICS Conference on September 3. Along with this trial, North Korea once again came to the eye of everyone. North Korea says that this bomb is designed for the use of long-range missile. This test of North Korea is being considered for intensified intensity bombs during its previous test. The total weight of this bomb was 120 kilotons, in which TNT of 264.55 million pounds was used. It is a matter of note that during the Second World War, Nagasaki and Hiroshima are 20..